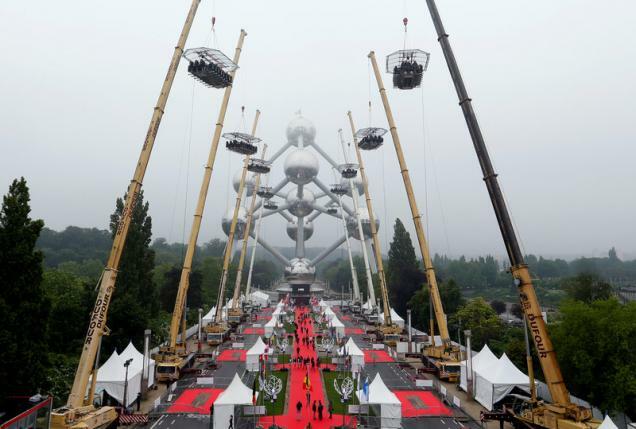 Guests seat at a table suspended from a crane at a height of 40 metres in front of the Atomium, a 102-metre (335 feet) high structure and its nine spheres, built for the 1958 Brussels World's Fair, as part of the 10th anniversary of the event known as 'Dinner in the Sky',. 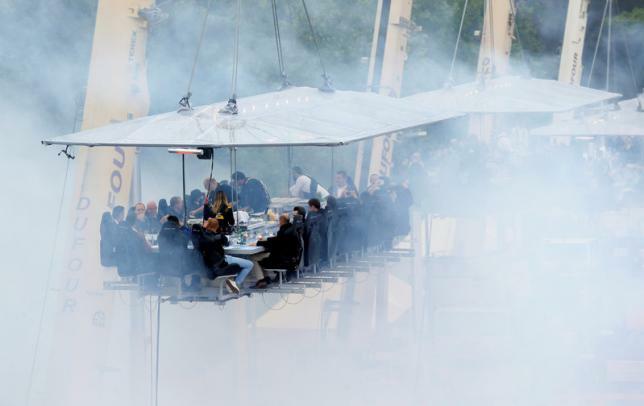 Gourmet food lovers get the chance this week to have "Dinner in the Sky" served by star chefs on platforms hoisted 50 meters (165 feet) into the air by construction cranes in the Belgian capital Brussels. 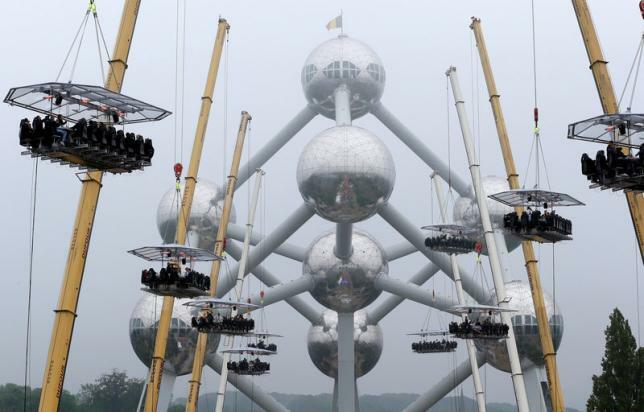 Some 4,500 guests are expected for the 10th anniversary Dinner in the Sky at Brussels' Atomium, a complex of steel spheres and walkways in the form of a crystal that has become the city symbol since being built for the 1958 World's Fair. 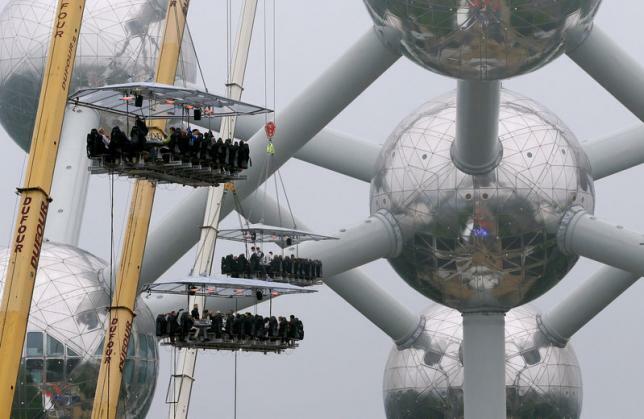 Each year, 10 chefs cook on the platforms suspended in the air around the Atomium and serve guests seated at adjacent long tables. 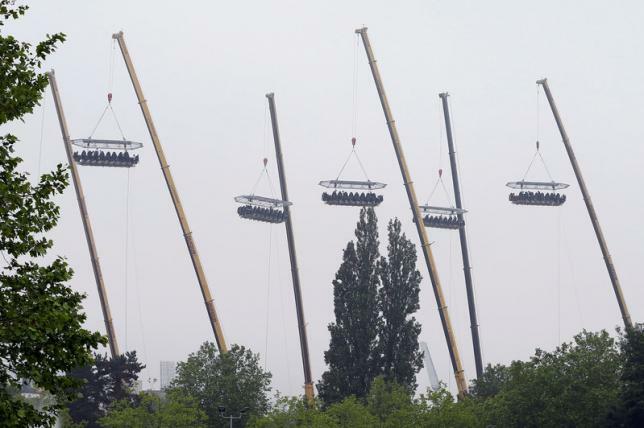 The Dinner in the Sky runs from June 1-5. 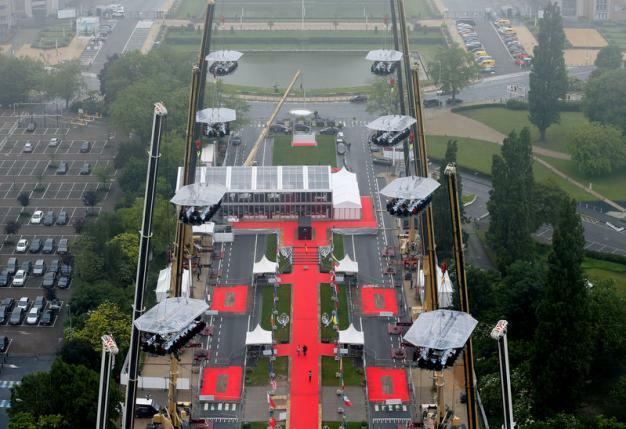 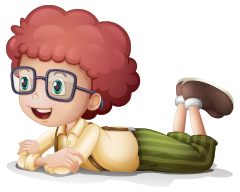 Organizer David Ghyssel, who conceived the idea in 2006, said selected partners had already staged it in 56 other countries including the United States, India, with more to take part in coming months.